Here is a list of ways you can sign up for updates, information and news, either from me, someone else, or the horse’s mouth. Hey everyone! I need your help. Where? Why? And what will come of it? Well…. What do 80,000 Irish folks  know that many Americans do not? And that 200,000 Pharrell Williams Facebook fans  know that many of your friends do not? Standing rock is happening! Implications include oil, water, oil in water – human rights and safety, native rights, destruction to private property, fossil fuels, energy independence and environmental impact. It is an epic drama of our times. We are building an 1,172-mile pipeline to pull domestically produced sweet crude oil from North Dakota and deliver it in the most cost-effective manner and safest way possible to coastal and foreign markets. Accommodations, minimal disruption and full restoration of impacted land is our stance toward private landowners. This is a good thing for our country because we need to be fossil fuel independent; it will create jobs, increased business for local services, increased property taxes revenue for local infrastructure improvement; and by requiring less railcar demand other industries, like agriculture, will benefit also. Millions have chosen to stand in opposition of the destruction of land, resources, water and sacred sites – they’ve chosen to ignore us. The fight will not be over until there is permanent protection from the pipeline. We will peacefully, diligently pursue all legal, legislative and administrative options to stop the construction of the Dakota Access Pipeline. Obama has halted construction pending the Army Corps of Engineers full impact analysis; there will be a court decision of whether or not construction can proceed based on this. This is an All-American issue. Everyone should #NoDAPL. Many at this time do not. In this case, an oil pipeline would run alongside the Missouri River in North Dakota – through native burial sites, and again further down river. As my good friend and fossil fuel divestment analyst, Thomas Cyr, has said, “If they wouldn’t run it through Arlington Cemetery, this shouldn’t be any different.” More so, if they wouldn’t run it through Mexico or Canada without absolute agreement, then this should Not be any different. It is not just about preserving sacred land for a select group of people, though it would be nice to think that if it was JUST about that, that more Americans would step up to help, But it isn’t. It IS about EVERYONE living downriver, and EVERYONE who wants to be treated fairly in our country. It is relevant to all cities and states downriver from this pipeline because of the high risk of damage to the water source. These relevant states include: North Dakota, South Dakota, Nebraska, Iowa, Kansas, Missouri. St. Louis sits where the Missouri runs into the Mississippi River, so every connected state down river from this point which would also be affected is: Illinois, Arkansas, Tennessee, Mississippi and Louisiana. 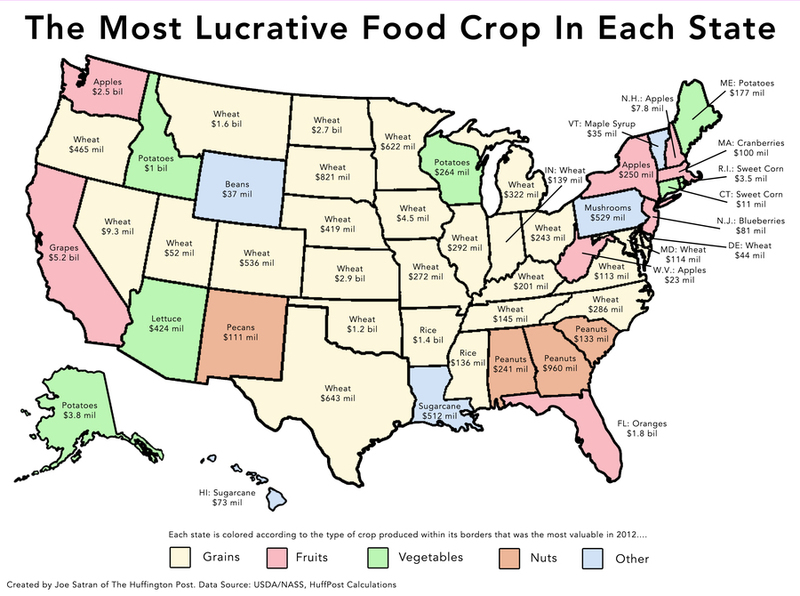 Additionally, the most important food crops  of these specific states are grains, with the exception of Louisiana, whose most lucrative crop is sugarcane. So everyone who lives in a state in which people consume bread, rice, cereal, hot pockets, lunchables, alcohol, soda and candy should also Google: Dakota Access Pipeline and “Lists of pipeline accidents in the US in the 21st century”. The truth is we are all connected and the Natives have taken a stand for what’s right. Not just for them, for All of us. The time is Now. On October 8th I’m going to the pipeline because they need help in protecting this land, a land that was already taken from them once, and a water source that feeds into so much. Their neighbor, no, not even their neighbor – a company from Texas, has violently trespassed into their front yard with dozers. Their need is urgent. This much is clear. For those of you with family, kids, a mortgage, some health-related priority… I’m going for us! Not just to stand, but to help build a way forward. Lee Hanse, Executive VP, Energy Transfer Partners, L.P.
Glenn Emery, Vice President, Energy Transfer Partners, L.P. Follow me on this at Lindsey Lou on the Move: Standing Rock! I’ll use that page to share with you facts and news from the front lines. Tell EVERYONE I need help on this. Please copy and paste the updates from the site and share with your own networks via FB, Twitter, Email, text,GroupMe, Whatsapp etc. Watch out for my crowd fund launch! Yes a crowd fund! The MOST Important thing about this stand is the Outcome! In this case, a new way forward must be the solution, not just for Standing Rock, but for Standing Rock FIRST. I’m determined to help build that solution. This will take time, resources and ALL the support you can give to the crowd fund and otherwise. I’ll do my best, I won’t let you down. I’m [your name], writing in from [your location]. I do not support the violation of the Standing Rock Sioux’ rights or any human rights for the construction of the Dakota Access Pipeline. This is an all-american issue. One pipeline accident could create contamination affecting the health and safety of millions. We demand you Stop sacrificing human rights for the continued development of the Dakota Access Pipeline. We do not want it!